Pre 3d food printing conference Meet up! 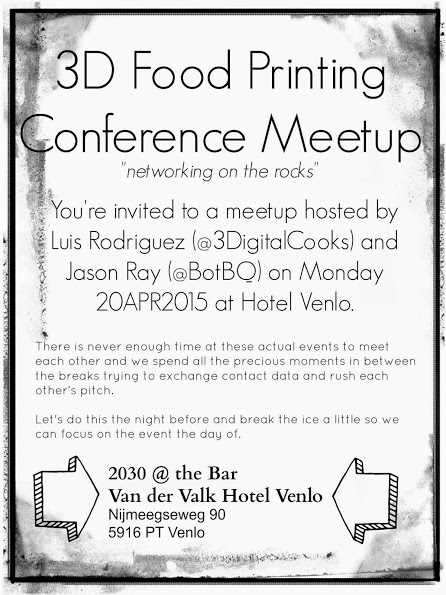 At BotBQ and 3DigitalCooks we are extremely excited for the upcoming 3D Food Printing Conference. 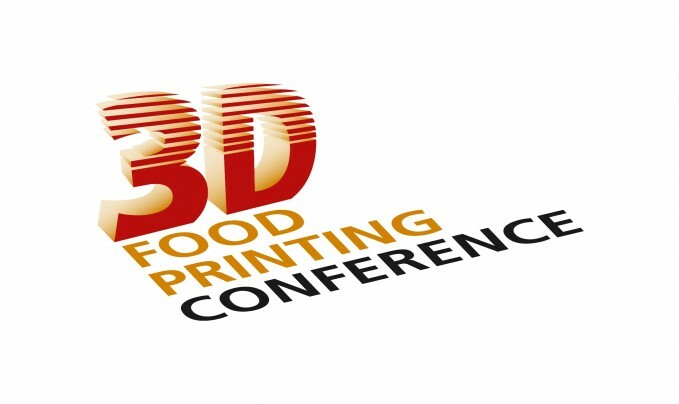 Next tuesday will have the chance to meet 3d food printing experts from all over the world, exchange experience and learn from each other to help push 3DFP forward. For that reason we are gathering together the day before to get to know each other in a more casual and relaxed way. Maybe some drinks, maybe some food, but for sure tons of great napkin ideas and fun. Meet us at the Venlo Hotel Bar. For more details make sure to contact with us here, here, here, here or any of our social media link we will reply! Is going to be a great conference lets make out the best out of it! We want to meet you all! Hi Lucas! Is going to be great to meet there. I have change the time to 20.30 but definitely we will be there to chat and get to know each other. thank you for your comment! Thank Luis. In fact, I have just had a look for my trip, I arrive at Venlo station by 19:56, then time to come to Hotel and take room, I think I will be with you guys also by 20:30. It will be a very interesting time with brightful peoples. I will bring to you guys a thought about 4D food, for example you make delayed rainbow with ice and water. Great!Looking forward to meet you and hear your ideas!